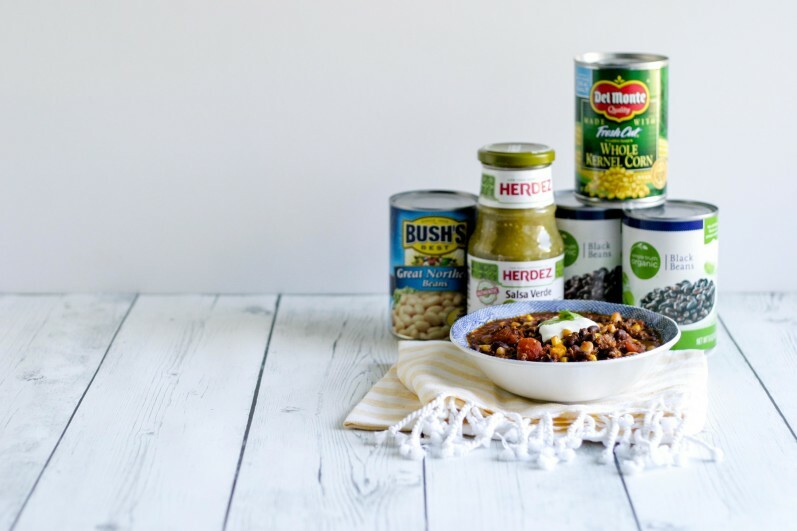 We are partnering with Cans Get You Cooking to show that getting a healthy, home-cooked meal on the table can be simple and uncomplicated when you cook with canned foods! Sometimes we fall into the trap of thinking that healthy cooking means a long list of exotic ingredients that has you running back and forth to the grocery store all week long. Who has time for that? And who has money to waste when your veggies purchased on Saturday are wilted by Wednesday? Well, we are here to tell you that it doesn’t have to be so. We have a few solutions for getting the people you love around the table, staying out of the drive thru, and making more time for what matters most! Disclosure: Once a Month Meals did receive compensation for this post as part of the Mom It Forward Network. But we 100% support the message of making home-cooked meals a reality even when life is busy. And all of the tasty recipe suggestions are ours! Don’t be afraid to cook from a can! You might be thinking, “But that isn’t very fresh is it?” I will answer your question with a question. Is it healthier than having a pizza delivered? is it fresher than the drive thru? Cooking at home is almost always healthier and cheaper than not, and cans have come a long way. Cans seal in nutrition, freshness and flavor, naturally. The produce within cans is picked in season, at the peak of freshness. Manufacturers have them packaged within hours, which means that goodness is locked in and preserved for when you need it. Ever wonder why our grandmas stocked their pantries with home canned goods? They harvested when produce was in abundance and preserved it, kept it, locked it into all those pretty little mason jars so that their families could eat veggies all year long! Thankfully you can get the benefit of cans without slaving over the hot stove, and they are still very economical, just like grandma’s. Canned foods can be a hallmark of a healthy diet. Studies conducted by researchers at Michigan State University, UC Davis and Oregon State University all concluded that canned foods have similar (or better) nutritional profiles as their fresh or frozen counterparts. Those who have a stash of cans in the pantry and cook with them are more likely to meet and even exceed their daily requirement of fruits and veggies. Like many people, I tend to grocery shop on the weekends because my schedule is a little more freed up. But there have been many times where I get to about midweek and start to wonder….hmm, what happened to all of that fresh food I bought? I start feeling like I’m on an episode of Chopped, trying to cobble together a meal out of a random assortment of items, except that my ingredients are way less fancy, and I have a lot less kitchen gadgets at my disposal! Now we are freezer cooks around here, and this is exactly the situation where you would want to have a freezer meal on hand. But friends, let’s be honest. Sometimes the schedule is just very, very full, and we don’t get to prepare like we want to. So here is an opportunity to combine two healthy habits: cooking with canned food from the pantry and freezer cooking. 49% of moms who grocery shop on the weekend are likely to run out of food in their refrigerator on Thursday or earlier. 60% of moms think that meal planning is more difficult than bed time! And 61% of moms resort to take out because they don’t have the ingredients needed to cook a meal. Next time you are at the grocery store, be sure to toss a few extra cans into your cart. Grab a variety of veggies, fruits, beans, and even meats like chicken and tuna. If you do this every time (especially stocking up when there are sales and coupons!) you will eventually have a stash from which to work. But just a few cans will do the trick at first. Our challenge to you is this: when you hit that wall where you are out of ingredients and ideas, and you don’t have any freezer meals at the ready – head to the pantry for some cans! 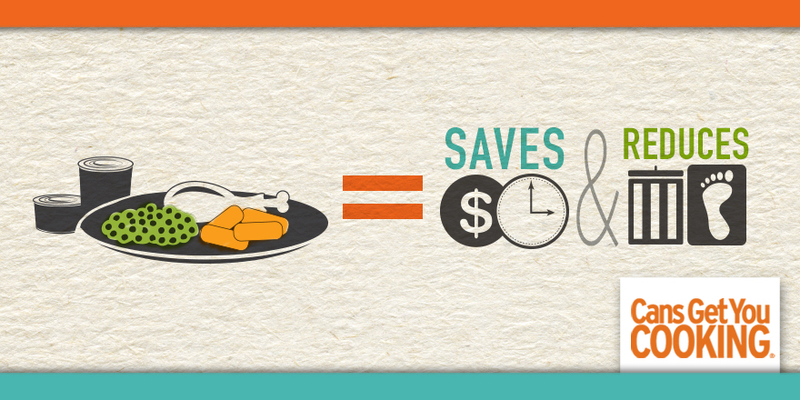 Now here is the trick: since cooking from the “cantry” is so simple and quick, you can easily double the meal! Eat one that night and throw the other one in the freezer for next week! Or you can portion it into single servings and use it for lunches. Search for recipes by ingredient. In this case, you can search “canned” to return all meals with canned ingredients. Search by cooking type. You can save even more time by searching for recipes that are “dump and go” on your freezer cooking day. Or look for recipes cooked in the slow cooker or programmable pressure cooker on serving day. Search by dietary preferences. We didn’t forget that we all are trying to provide nourishing meals for ourselves and our families! At Once a Month Meals you can find freezer recipes for various dietary preferences and even for those working around food allergies and sensitivities. 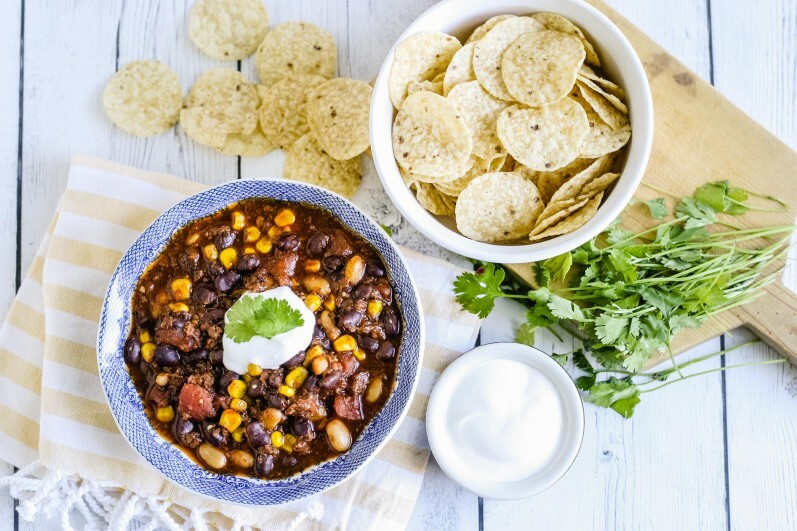 Last but not least, here are some freezer friendly recipes you can create by simply gathering some cans from the pantry and a few other simple ingredients! 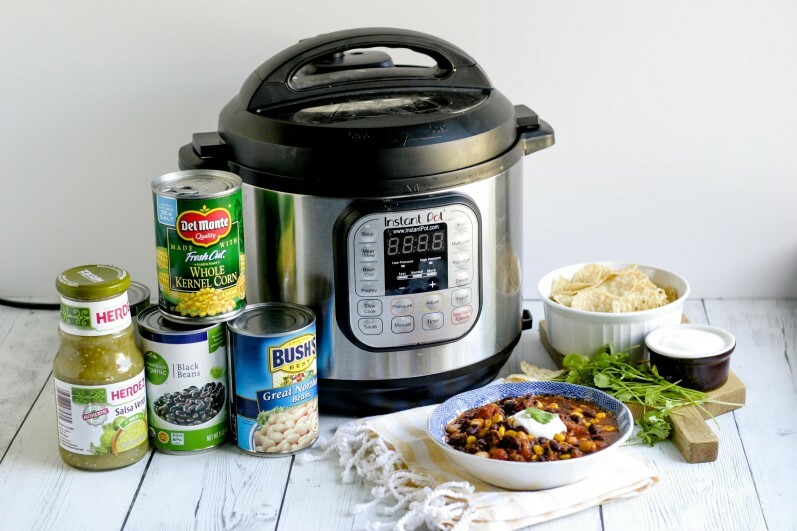 The first one on the list (also pictured above) is actually a recipe that our staffer Ricki created on a night where she didn’t have a meal plan, but she got creative in the “cantry” and came up with a new Instant Pot favorite!